The air is warm, there is more to do, and everything’s just plain more fun. But that doesn’t mean there aren’t dangers lurking out there for both you and your dog during the summer months. But staying inside and missing out certainly isn’t the answer! Enjoy the best part of the year worry-free. Read on to learn about 8 summer threats for your dog, and what you can do to avoid them! Tread Carefully: Dogs are tough, but their feet do not offer the same level of protection we get from our shoes. So while they may not show signs of discomfort, that hot sidewalk or asphalt could be causing them large amounts of pain. Younger dogs are especially vulnerable, and you should be very careful about letting your dog ride in a hot truck bed during the summer. Make it a rule that if it’s too hot for you to walk on barefoot, your pup won’t either. Dogs Get Sunburned Too: Our pups can get sunburned just like we do, and they’re more at risk if they have white hair or a short coat. And while it may be tempting to give your long-haired dog a short summer trim, you should consult your vet first to make sure its okay for your breed. Let your dog enjoy the sunshine worry free by using Epi-Pet Sun Spray. It goes on in a light mist, so your dog shouldn’t be tempted to lick it off. Epi-Pet also contains no zinc oxide, a common ingredient in human sunscreens that is toxic for our doggies. Watch for Hot Cars: It’s an issue we’ve all been told about for years now, but unfortunately dogs being left in hot cars still happens every summer. On a seemingly pleasant 78 degree day, your car will reach north of 100 degrees within minutes. Heatstroke can quickly set in for dogs that have been left in hot cars. Common signs of heatstroke in dogs are heavy panting, lethargy, dark tongue, thick saliva, vomiting, and a lack of coordination. If you suspect your dog is suffering from heatstroke, take them to a veterinarian immediately. Keep Them Hydrated: Always keep plenty of water available for your dog and avoid long periods of time outside during the summer. You can check if your dog has become dehydrated by feeling their gums. Lift their lips and swipe their gums. If they are not wet and slick, but rather dry and/or sticky, then your dog may be dehydrated. Another check is to pull on the skin behind their shoulder blades. If the skin is slow to to fall back, then there is a good chance your dog is suffering from dehydration and needs to be taken to the vet. If you plan on leaving your dog outside for extended amounts of time during the summer, an outdoor dog bowl that automatically refills itself will free you of the worry of wondering if your four-legged friend is getting enough water. Fleas and Ticks: The idea that fleas and ticks are less active or even hibernating during the winter months is a myth. The tiny nuisances are just as active, though their number will be lower if you’re in a colder area. And with the arrival of summer comes more time spent outside in the habitats of these fleas, ticks, and spiders that will be at their peak populations for the year. Fleas in particular are problem causing and can cause serious skin and health problems for your dog. Keep your dog safe by combating fleas and ticks year-round. Over the counter treatments will help, but will be less effective than those that your veterinarian can recommend. Careful While Swimming: Not all dogs know how to doggy paddle! And even the dogs that do will not always realize how much they have tired themselves out, putting them in serious danger. Do not allow your dog to drink the water whether you are at the pool or out in nature. Pools contain chemicals which are harmful to your dog’s GI tract, and open bodies or water will contain unknown microorganisms that could lead to diarrhea rearing its head at the worst of times. Keep an eye on your dog whenever they are around a pool or other body of water. If you are taking your dog on a boat or near a deep or rough body of water they should always wear a dog life jacket. Watch the Grill: It sure can be hard to turn our beloved four-legged friend down when they want to sample the delicious treats we’re all sharing during a fun summer cookout. But many of the foods we eat at these can be harmful for dogs. Avoid giving your dog any type of pork or lunch meats, as they have been linked to pancreatitis. Foods with small bones should also not be sampled by your dog, as they can easily break them which could cause serious problems when digested. Crate During Fireworks: The loud unexplained noises and bright lights are scary, confusing, and even potentially dangerous for your dog. If your dog is frightened easily or doesn’t do well with loud noises, consider crating during fireworks. Anxious dogs can be comforted by jackets like Thundershirts that act as calming wraps. They work by applying a constant but gentle pressure which helps to put them at ease. They are useful in many other ‘scary’ situations like travel or trips to the vet as well. Practice these 8 important tips and make summer you and your dog’s favorite time of the year together! Don't Forget!! Follow Dog Training Me on Pinterest for more articles like this! Just click 'Follow on Pinterest' below! 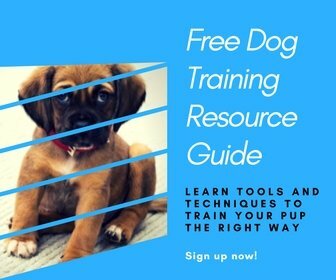 Sign up to our newsletter for regular tips and advice on training your dog. Brian is the proud papa of a 5 year old dachshund named Scooter. When not enjoying the company of his four legged friend, he enjoys hanging out with friends, family, and spending as much time as possible outdoors. Dog Training Me Copyright © 2019. Thanks! We'd love it if you followed us too!